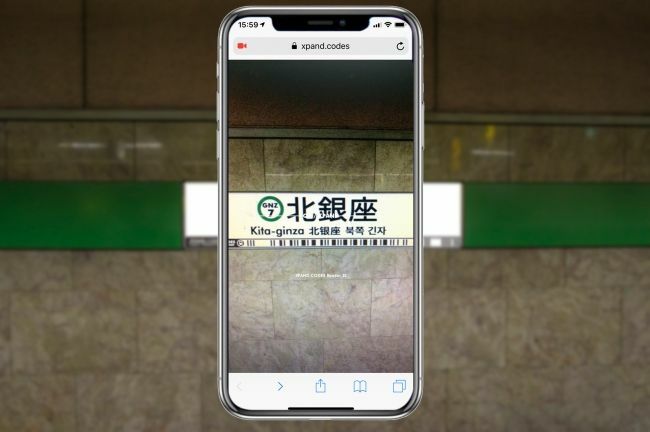 TOKYO - Feb. 28, 2019 - PRLog -- XPAND K.K., that provides "XPAND.CODES", the barcode solution for signs, has announced the release of XPAND.CODES Reader JS today. This barcode reader can be embedded into any website in one minute and runs smoothly, using only a browser allowing it to read QR/EAN/UPC/XPAND Code in a more simple manner. "This is the world's first tool that can read QR/EAN/UPC Code as well as "XPAND Code" for space using only a standard browser. I am extremely happy that this can be provided to users and site administrators free of charge." said Toworu Nanmoku, CEO of XPAND K.K. XPAND Code is a barcode for space that was created during the design process for traffic signs. Nanmoku developed this as a way to expand information on signs while working on designs of Tokyo Metro train information signs for the 2020 Olympic Games. This new barcode following in the footsteps of EAN/UPC Code and QR Code links with your smartphone even from far away distances without ruining the design of the sign or scenery. In addition to locations such as restaurants all over Japan, XPAND Code has started to be utilized in public transportation and public spaces. The Tokyo Metro train information sign design won the IIID Award2017 (http://iiidaward.net/). XPAND.CODES Reader JS provides information that users need while being easy to use and easy to implement. And with information about URL, sign, and products, users can make better informed decisions. More information about the XPAND.CODES Reader JS is available at https://xpand.codes/readerjs/. XPAND K.K. offers "XPAND.CODES", the barcode solution for signs. XPAND Code links with your smartphone even from far away distances without ruining the design of the sign or scenery. XPAND K.K. offers innovative services to increase convenience for users of space such as public facilities, public transportation and commercial facilities. For more information visit https://xpand.codes/en/ or email at nanmoku@xpand.co.jp. XPAND.CODES has undergone trademark, design, and utility model registration in Japan, and the international registration of the XPAND.CODES to the WIPO (World Intellectual Property Organization) as a trademark.